Dimensions 6.38 by 9.45 by 1.46 in. 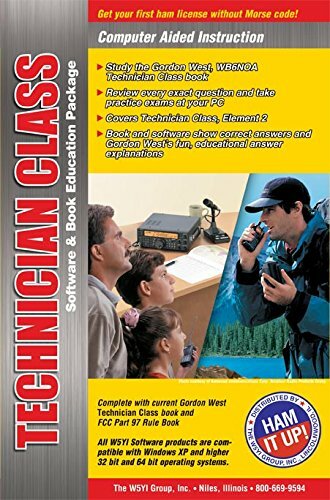 Amazon.com description: Product Description: For the 2018-2022 FCC Element 2 Technician Class examination. Package includes the Gordon West study manual along with W5YI HamStudy Software. The software provides practice examinations and on-screen study support. The explanations from the study manual are on the software. When you answer a question wrong, the explanation from the book appears to reinforce your learning. Package includes a free FCC Part 97 rule booklet.